This entry was posted in Day to Day and tagged beach, Bigbury, Bigbury on Sea, Devon by Fiona Martin. Bookmark the permalink. 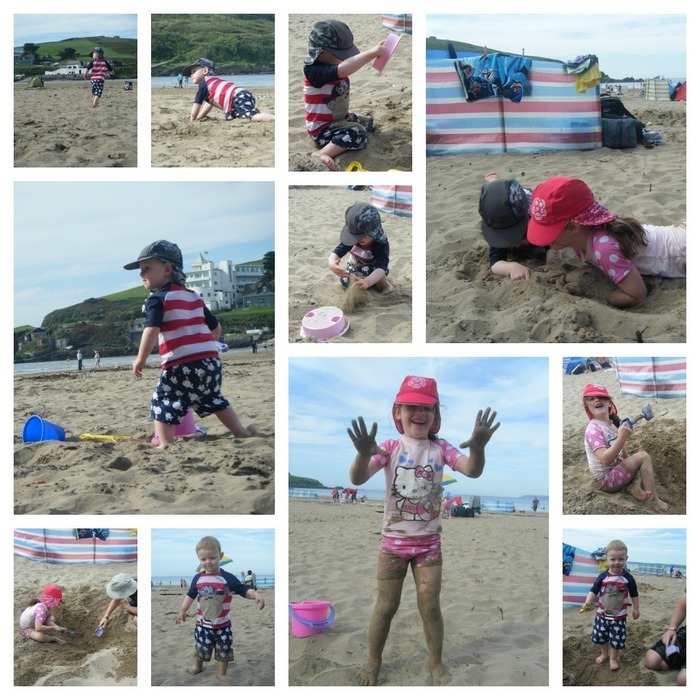 I have many happy memories of my children when they were young at Bigbury, we lived just around the coast but the sand at Bigbury was so soft we would often go round. The children used to love to watch the tractor taking rides across to Burgh Island too. Lovely to see your photos of one of our old haunts. I hope this isn’t the last of the summer sun, I do remember one October half term on the beach, fingers crossed! Thank you for joining me over on Country Kids.